Hands Down The BEST Value Super Tuscan Around!! The Jess Jackson family purchased the Arceno estate in 1994. Located in he southeast corner of Chianti Classico, it has 223 acres of vines. But unlike most estates in the region the grapes are all Bordeaux varietals; Merlot, Cabernet Franc and Cabernet Sauvignon. This is an ideal showcase for the remarkably talented Pierre Seillan, winemaker for the Jackson’s Veritas wines as well as his Grand Cru Chateau Lassegue in St. Emilion. Here, Seillan blends 57% Merlot, 24% Cabernet Sauvignon and 19% Caberent Franc. The grapes for this wine come from a warmer, well-exposed section of the estate, where the grapes get well ripened and take on a voluptuous quality. Il Fauno is aged for 12 months in 30% new French oak barrels. What’s The Deal With These High End Chilean Reds? Recently I had the opportunity to taste some of the “best” wines that come out of Chile. Many Chilean wineries will produce a high end Carmenere red blend that usually includes Cabernet Sauvignon, Merlot and possibly some Petit Verdot, Malbec or Syrah. Caremenere was one of the original grapes allowed in the production of Bordeaux wines, but after falling out of favor in France it has found a new home in Chile. It can exude the softness of Merlot, but is typically a little more rustic and spicy. The inexpensive Carmenere wines tend to be dirty and chewy while the high end wines can be super smooth and lush carrying just a pleasant hint of that earthiness. After tasting a variety of these top tier Chilean reds (such as the Montes Purple Angel, Vina la Rosa Ossa, Errazuriz Kai, Casa Lapostolle Clos Apalta and a handful of others) I am left with one reaction… Meh. For you Simpons fans, I need not say more. For the non Simpsons fans, Meh is a feeling of indifference or boredom…a verbal shoulder shrug if you will. Aside from the Clos Apalta, these wines were all just OK. They were rich, smooth and good expressions of the Chilean terroir (a word that encapsulates soil, climate and location), but they also tend to be super expensive! These wines can range anywhere from around $50 to over $100…so for them to just elicit a Meh reaction is frankly not good enough. For a $50-100 wine I want to be wowed, I want to be excited, I want my taste buds to dance and sing and to praise me for having put something so delicious into my mouth. But most of all I want to feel like I am getting my money’s worth, and at the end of the day I don’t think that’s the case. Granted, I didn’t actually buy theses wines… but if I did I am fairly certain I’d be more than a little pissed off. Having shared some of these bottles with friends and family, most people thought these wines were in the $20-25 range. So to rationalize price tags 2 to 4 times that amount is just not realistic. So aside from the Casa Lapostolle Clos Apalta, which is probably Chile’s finest juice, stick with the value reds from Chile. For $15-20 you can grab some great Cabernet and Carmenere wines from these same wineries that are not that far off from the quality level of their top tier offerings. Some of my favorites right now are The Seeker Cab, Veramonte Primus, the Casa Lapostolle Cuvee Alexandre line, Santa Ema’s Reserve & Ampus lines and the Santa Rita Medalla Real line of wines. Remember, just because a wine is expensive doesn’t mean that it’s necessarily great, just that it was intended to be. Recently I have been teaching a wine class along with a colleague of mine (Josh Farrell of Wine Express) and we were going over the 1855 Bordeaux Wine Classification. For those who don’t know what that is, over 150 years ago professionals from the wine industry ranked the wines of Bordeaux (Cabernet Sauvignon and Merlot are the most prominent grapes used) according to a certain Château’s reputation, price and of course on the quality of wine. While California has never classified wine this way, there are certainly a small group of wines that are considered elite. If you have ever heard the term “Cult Cab”, many of those wines would fall in that top classification category. Cult Cabs are typically an extremely low production, high quality wine that you cannot even purchase unless you wait years to get on a mailing list or go to auction and pay 2-3X what the winery retails it for. They can cost anywhere from a couple hundred to a couple thousand dollars and while they are some of the best wines you may ever taste in your life, they can also be the most disappointing. The reason being is the expectations are set so high for a wine of this nature, that it is almost impossible for it to deliver. Think about the first time you were able to afford to go to that fancy five star restaurant that you had heard so much about. By the time you finally were able to dine there, did it live up to everything you had envisioned? Usually the answer is no… how could it?! With expectations that high, unless it is an utterly life changing experience it almost has to be somewhat of a disappointment. That’s not to say these wines are disappointing, as they are arguably some of the best wines produced in the world. But when shelling out that kind of dough, it’s tough to monetize the level of enjoyment of a wine. With all of that said, I have listed below what I consider the “Premier Cru” Wines of California, the “Grand Cru” Wines (a small step below in terms of quality, price and a bit larger production and availability) and my “Value Cru” Wines ($20-25 wines that over-deliver on a Quality-Price Ratio, or QPR, and are consistent values every vintage). The Value Cru Wines are readily available at most Westchester wine stores as well as online. Leave it to the Donald to produce some quality Virginia juice! Donald Trump and his entourage have taken over what was once Kluge Estate Winery and Vineyards, and are already producing some pretty solid wines. Virginia reds have never really appealed to me as the terroir has been seemingly incapable of producing quality grapes. 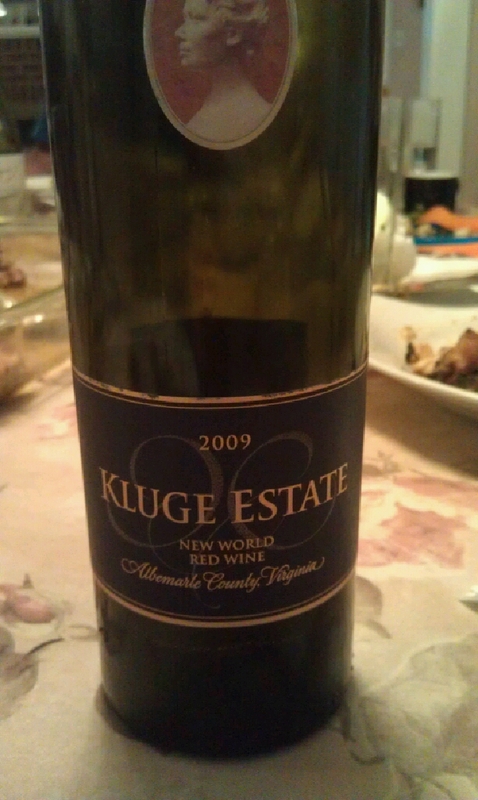 However, this 2009 New World Red Wine is proving otherwise. Definitely crafted in the old world Bordeaux style, the alcohol is a very understated 13% (most California reds like this would have alcohol levels of 15% or so) and the wine has an overall subtle feel. 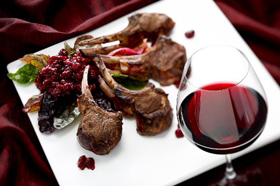 Enticing aromas of black cherry, plum and cassis are surrounded by sweet spices and a nutty edge. The acid and tannins are well balanced, making it a rather food friendly option, while the finish hangs around for much longer than I had anticipated. Would I spend $35-40 on this bottle… probably not. But I think this is a promising sign of things to come from Trump Winery, and hopefully Virginia wine in general.